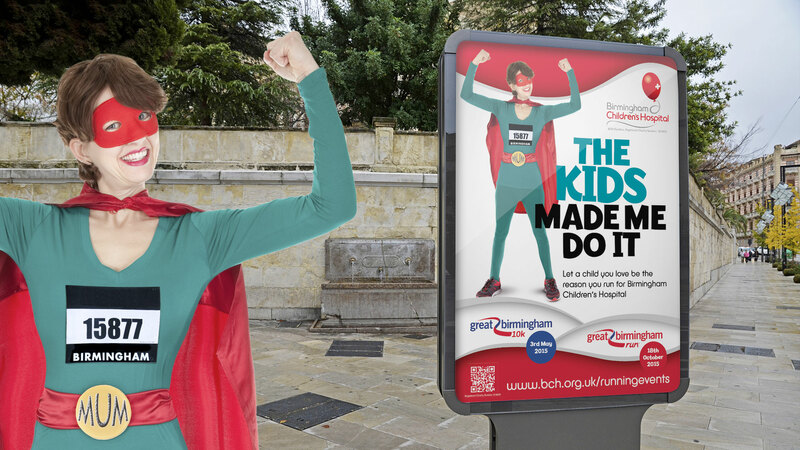 Birmingham Children’s Hospital raise money and awareness through donations from people taking part in the Great Birmingham Run and representing #TeamBCH. 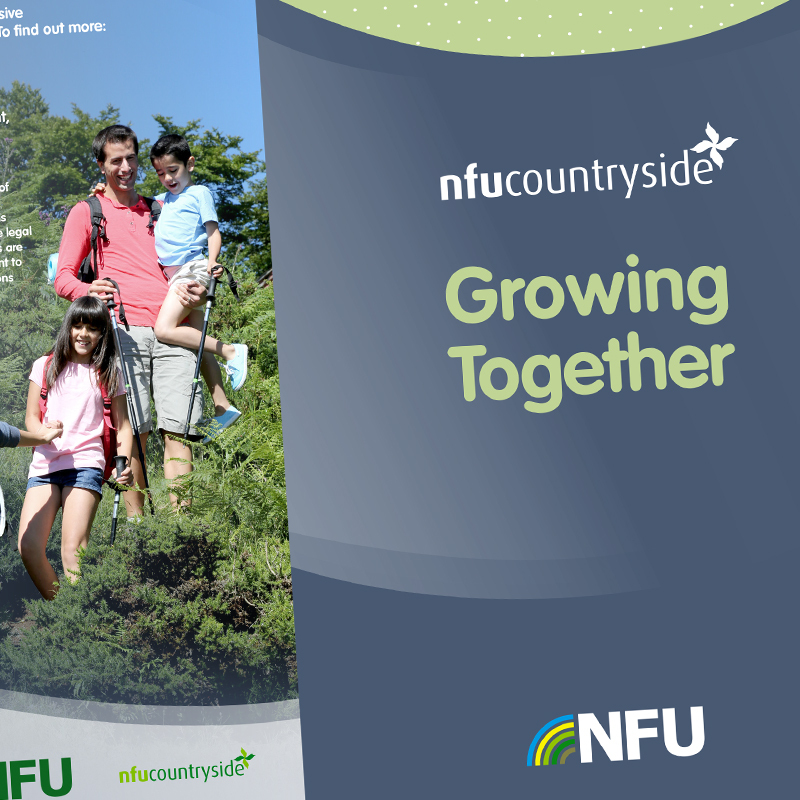 They needed a campaign to try and maximise the number of participants who would represent them. We developed a campaign that featured every day people as superheroes and popular children’s characters. 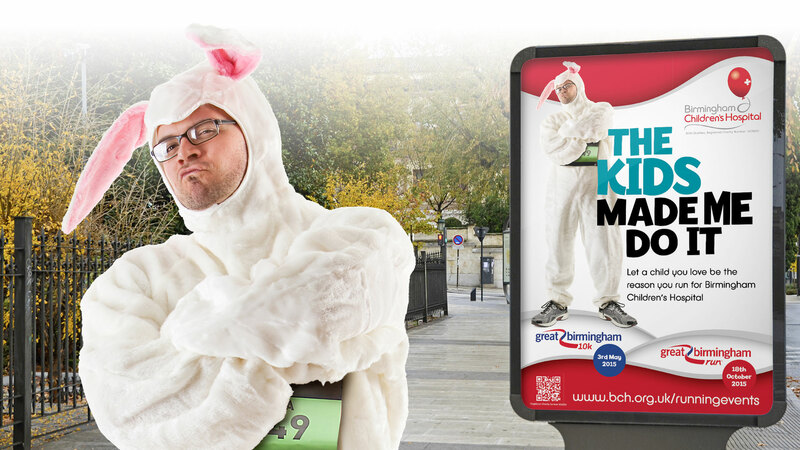 This campaign was rolled out and featured across several billboards, bus shelters and posters to promote two events. 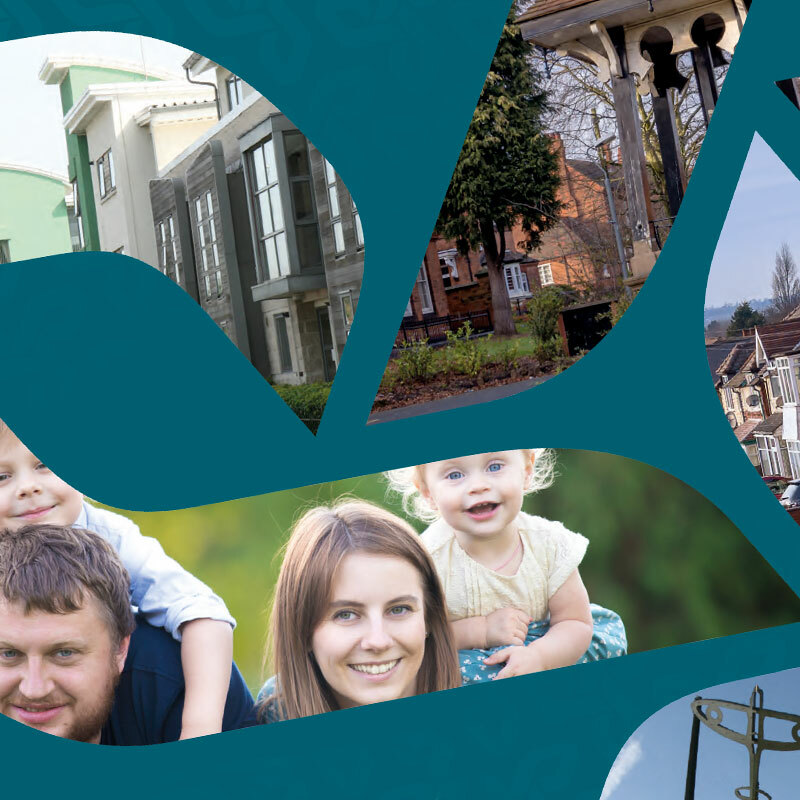 The campaign was a huge success for Birminghams Childrens Hospital. 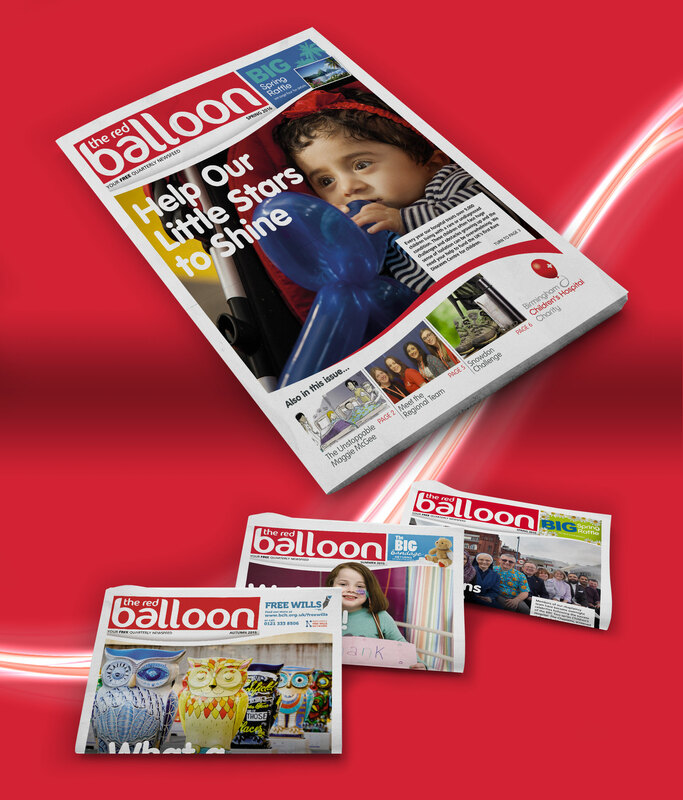 The Red Balloon is the quarterly newsletter for Birmingham Children’s Hospital. 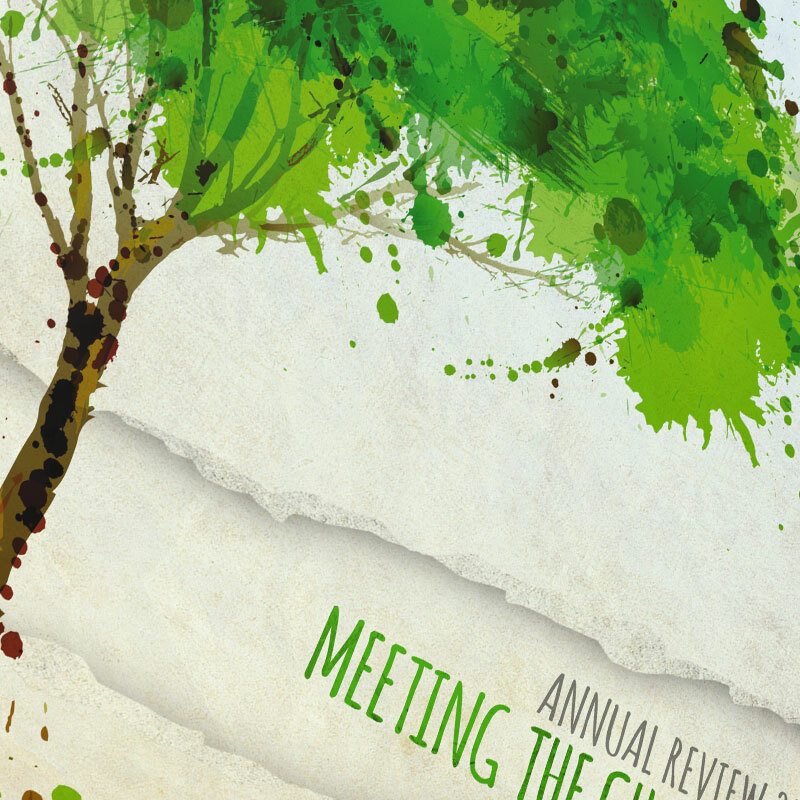 The refresh design for this took the form of an actual newspaper in order to make it more friendly and informal whilst minimising production costs for the charity. This was also produced in condensed form for those who could receive it in digital form that could then link to full stories on their website. 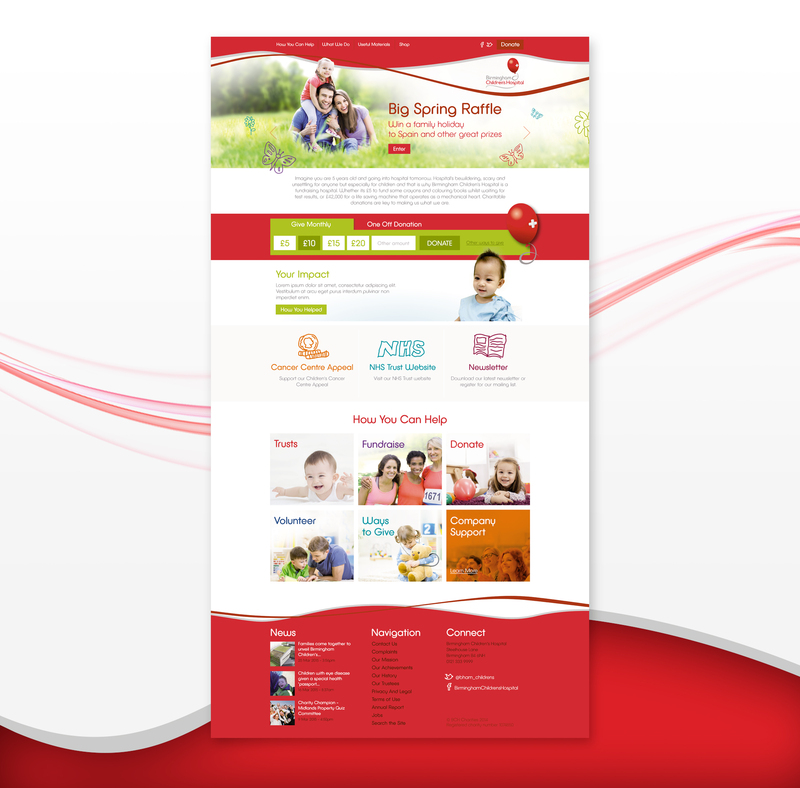 As Part of our work for Birmingham Childrens Hospital, we produced a website concept. 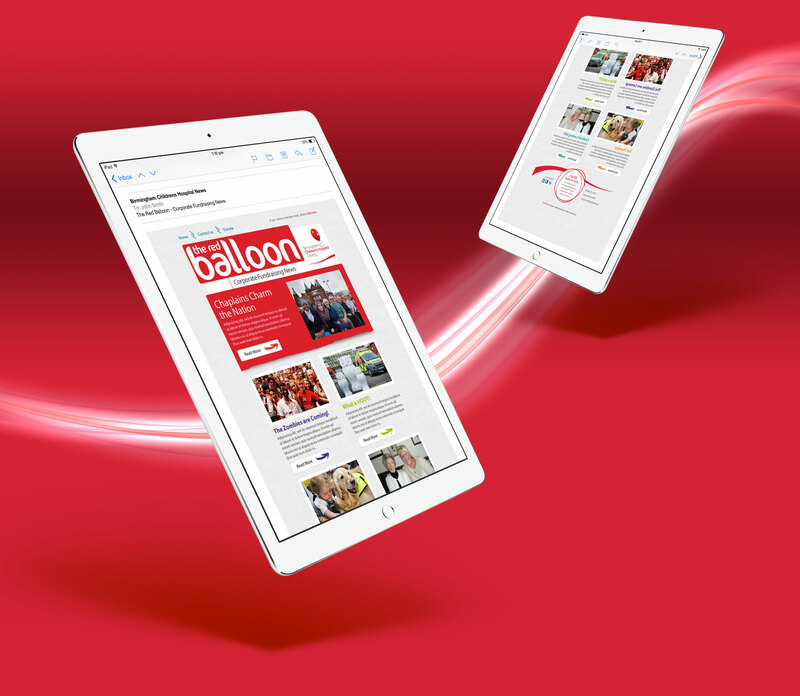 The aim of this was to bring their current site completely up to date, and especially make the interface clean and easy to navigate, minimising clicks to reach your destination and to boost donations from visitors.